OLD PARKED CARS. 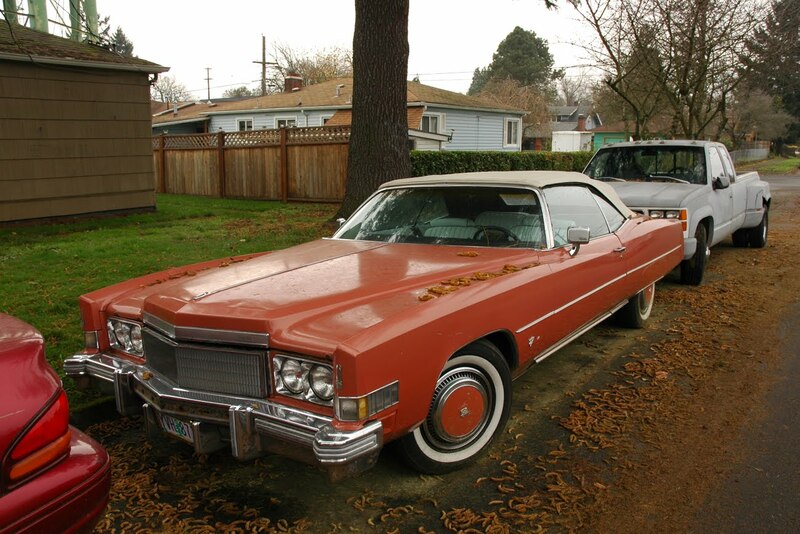 : 1974 Cadillac Eldorado Convertible. 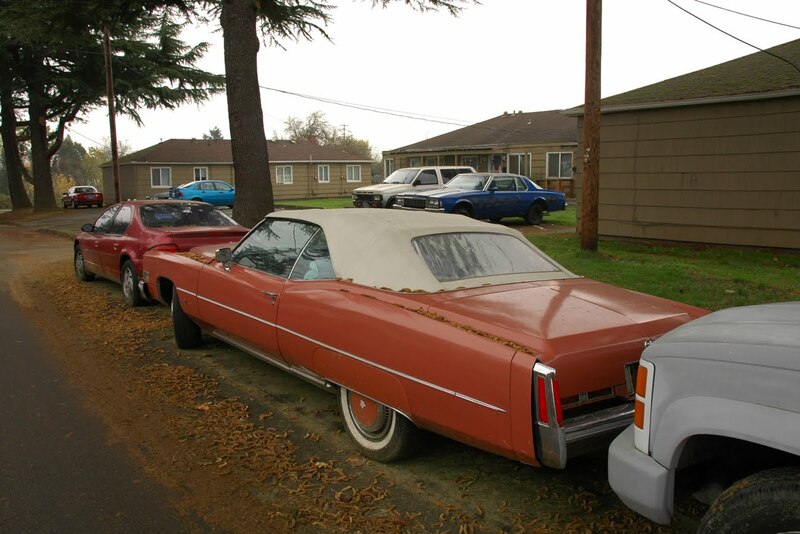 That's a tight space for a caddy. It may be parked in Portland, but I can hear the power steering assist crying all the way from Seattle. Anyway, this is a killer barge. Totally dig that color. what is that blue car in the background? 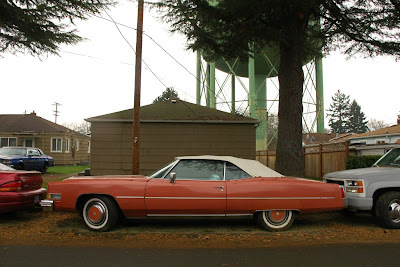 An Impala coupe? Bet the truck squeezed up. Is there a drive entrance/exit behind? Many of your photos show predatory parking. Sitting in the wrong church pew?